The secluded patio area can be used as an outdoor room. The property accommodates up to 4 Adults + 1 Child and a baby. Equipped kitchen with electric cooker with gas hob i.e. (multi fuel) fridge /deep freeze, dishwasher, microwave, kettles, toasters etc. Dining area with bay window over looking the garden with large oak dining table and chairs for up to 6 people. Lounge area with comfortable seating colour TV, DVD and Video player, radio, gas fire, and a large patio type window looking towards the moors, Littlebeck valley and the rest of Sleights. Double bedroom with fitted wardrobes over looking the same view as the lounge. Bathroom with bath - free standing shower – toilet and washbasin. A staircase leads to a large landing area used as a quiet sitting area with a glass door leading to a balcony which over looks the village and moors. 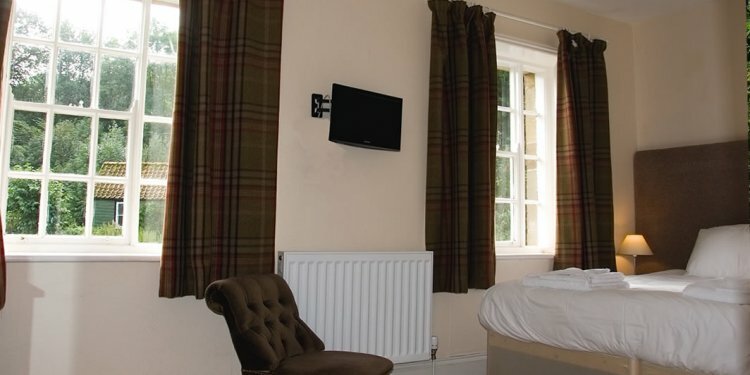 The property is fully equipped, all linen, towels, tea towels, toilet rolls etc. are provided. Also Utility room with washer and dryer for use on lower level. Please note: When you book Heaven Lea, you will be the only occupants in the property. There will be no other guests on the floor above (Heaven Lea Heights).